descending a hill. 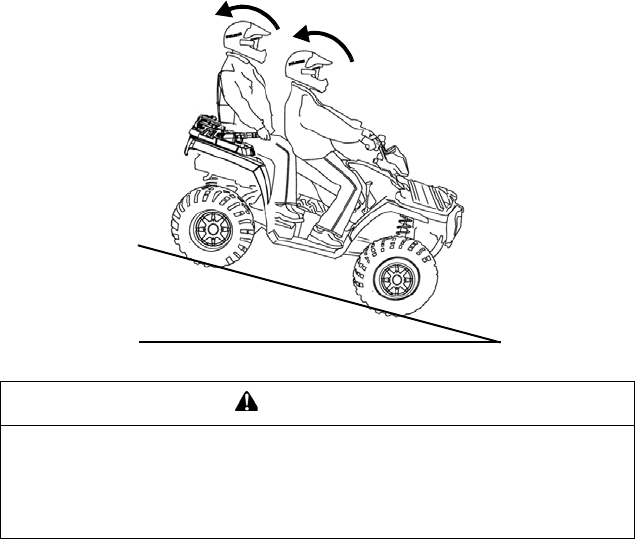 See page 47.
descend a hill with the transmission in neutral. 5. Shift body weight uphill. 6. Apply the brakes slightly to aid in slowing. emergency situations (if single-lever brakes become inoperable). serious injury or death. Slow down.